The former president has once again threatened that people may ‘regret’ opening a ‘can of worms’. Former president Jacob Zuma appears to have hit back on Sunday evening against the report of a special review panel investigating the State Security Agency (SSA), which made numerous unflattering claims about how intelligence structures operated during his time as president – going as far as to say it was run as a criminal enterprise. 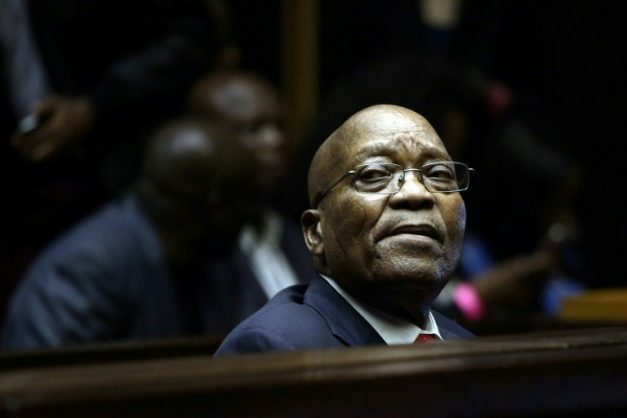 Zuma has now claimed that the panel never approached him to pose questions to him despite the fact that he appears to have been heavily implicated by the report. Zuma has rejected the standing of the panel due to there having allegedly been two “well-known apartheid spies” on it, though he failed to name them directly. It’s also not clear who the two individuals may be, despite Zuma’s claim that they are “well known”. The former president wrote on Sunday that he had never collaborated with the apartheid government or “written letters to the SB [Security Branch]”. The 10 members on the panel were Sydney Mufamadi, Professor Jane Duncan, Barry Gilder, Siphokazi Magadla, Murray Michell, Basetsana Molebatsi, Andre Pruis, Silumko Sokupa, Anthoni van Nieuwkerk, and Professor Sibusiso Vil-Nkomo. The panel was led by former minister Mufamadi, who served as safety and security minister under Nelson Mandela and was appointed by President Cyril Ramaphosa last year to review the intelligence services. The other nine members were punted by the presidency as individuals with a wide range of senior-level experience and expertise in law, security studies, civil society, academia, the intelligence and security community, as well as other arms of government. Zuma has in the past warned that he knows alleged secrets, especially about the ANC, and he should apparently not be provoked into revealing these. The report of the panel revealed, among other things, “political malpurposing and factionalisation of the intelligence community” over the past decade or more, which it claimed had resulted in an almost complete disregard for the constitution, policy, legislation, and other prescripts, the presidency announced on Saturday. Ramaphosa authorised the publication of the panel’s report on the SSA, which proposed there should be “the urgent development of a national security strategy as an overriding basis for redefining and refining the concepts, values, policies, practices, and architecture involved in South Africa’s approach to security”. “This review should consider the separation of the SSA into two services – a domestic and a foreign service,” said the presidency. The panel apparently alleges that Zuma abused state security for his own ends, including to spy on his political opponents both within and outside the ANC. They allegedly targeted numerous anti-Zuma civil society groups and even trade unions. ANC members campaigning for Ramaphosa to be the next president instead of Zuma’s chosen successor, Nkosazana Dlamini-Zuma, were also allegedly spied upon. The Sunday Times reported today that spies loyal to Zuma ran an alleged illegal intelligence campaign and in the process spent millions in trying to prevent Ramaphosa’s rise. They apparently even contributed to so-called fake news reports. Their report also claims that a unit of the SSA, called special operations, was run by Zuma ally and top spy Thulani Dhlomo, and the panel recommended he should be criminally charged, according to the Sunday Times. The current state security minister, Dipuo Letsatsi-Duba, reportedly also said she has been engaged in a battle with some of her own intelligence officials, who don’t want the “status quo” that emerged under Zuma to change. Spies aligned with Zuma allegedly trained and placed undercover agents as bodyguards for him, his confidante Dudu Myeni, former prosecutions boss Shaun Abrahams, ANC Youth League president Collen Maine, and former acting head of the Hawks Berning Ntlemeza. Spies apparently even formed a union to “neutralise the instability in the platinum belt” as an attempt to water down the influence of the Association of Mineworkers and Construction Union, among other alleged misdeeds. On Saturday, Ramaphosa expressed his appreciation for the panel’s “dedication to their task” and for producing insights and recommendations that would enable open engagement on the role and character of the intelligence community in support of South Africa’s national development objectives and international relations. He explained that the full report had been redacted for public consumption in view of the fact that it contained the names and identities of persons who could not be named at this point, as well as the details of operational matters that would compromise the work of the SSA. However, by analysing the positions of people mentioned in the report and when they were in charge, it has been possible to determine that the panel implicated Zuma, former state security ministers Siyabonga Cwele and David Mahlobo, along with Dlomo. The presidency, however, did share the report with “stakeholders”, including Letsatsi-Duba, Inspector General of Intelligence Setlhomamaru Dintwe, and parliament’s joint standing committee on intelligence.